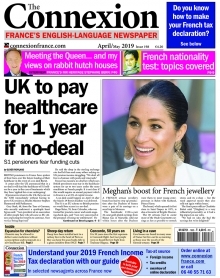 Published monthly, The Connexion print edition is France's English-language newspaper. We provide news, analysis, comment and practical information to help readers understand and integrate into the French community. Buying a home, setting up a business, learning the language, educating your children and understanding healthcare and politics are challenges we tackle head on. We also run features on important cultural events, interviews with politicians, economists, artists, writers and others who contribute to the country's political, economic and cultural life. On this page we list the contents of the current edition. You are buying a PDF download version of the paper which will be available immediately after purchase via a button at the bottom of your 'My Account' space.